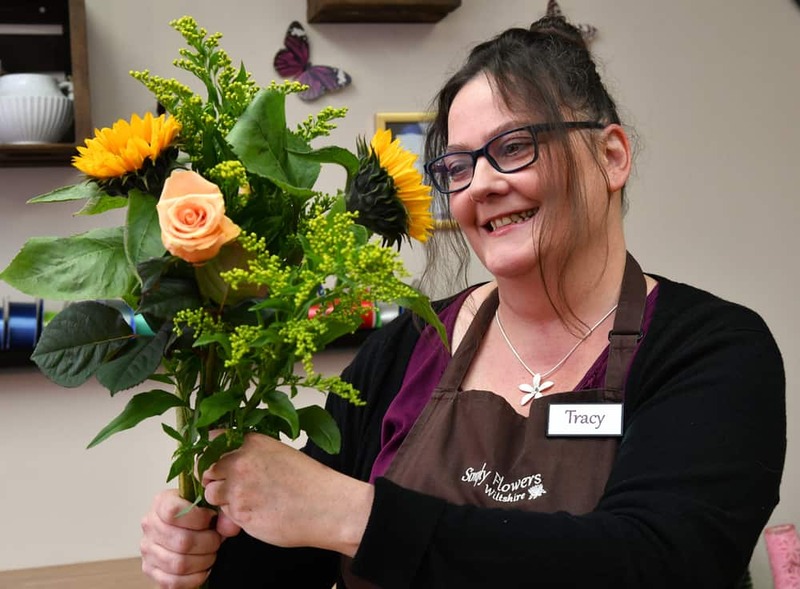 Tracy began working in floristry at 17 and achieved her NVQ 1, NVQ 2, NVQ 3 and Floristry Business Procedures over three years study at Wiltshire College Lackham in 1995. In a career spanning 23 years and working in several of the well known local florists there really isn’t much Tracy hasn’t done! Memorably creating spectacular large scale venue decorations and church Archways design as well as amazing funeral pieces including a cat, shoe, a huge 4ft electric guitar and a brick! She loves Peonies, Hydrangea, English Chrysanthemum Blooms and ‘Moody Blue’ Roses and really enjoys making modern arrangements, unusual funeral tributes and being creative with flowers and sundries.